Gartner’s hype cycle charts how all emergent technologies start with a trigger, quickly ramp up to a peak of inflated expectations, drop in to a trough of disillusionment and then move back up a slope of enlightenment onto a relatively stable plateau of productivity. Cloud computing is moving right along that curve; the initial buzz was followed by a paralyzing fear of security issues, but we are now well up the slope of enlightenment: cloud computing is here to stay, and nobody disputes that it’s going to have a huge impact. The power of cloud computing to enable radical new business models is really starting to be felt on a massive scale. Better-known examples include software as a service providers like Salesforce.com and infrastructure providers like Amazon’s elastic compute cloud, which allows virtually any business or start up to launch a web business or web service on a massively available and massively reliable scale. Combined with the emergence of increasingly powerful and productive web programming language like Ruby on Rails, Amazons EC2 (and copycat competitors) represent a force that is almost single-handedly responsible for the radical drop in the cost of launching a technology-based start up. The quip in the early-stage investing world is that “$500,000 is the new $5,000,000.” Compared to the cost of buying racks of servers leasing tons of bandwidth and hiring legions of programers, today’s web startups can hack an idea and launch it at web-scale overnight and for peanuts. Access to this kind of resource enables myriad new ways of doing business. One portfolio company of mine, Copiun, is using a cloud architecture to help companies better manage mobile devices. Another portfolio company, Redtail Solutions, is using the approach to offer hosted and managed electronic data interchange to small to mid-size businesses so these businesses can participate in much more sophisticated commerce with big players like Target and Walmart. Another, Crocodoc, is using the cloud to offer web-based collaboration and mark-up on any document type, including PDFs and images. Portfolio company Wiggio, is using the cloud to provide its nearly 1M members a much easier way to work together in groups. Localytics is using the cloud to provide mobile application developers (such as the New York Times, Kayak, Hulu, and National Geographic) to gather crucial usage, engagement and performance data from their mobile device users. But one of the most radical and fascinating cases, and the reason I bring this topic up at all, is a company near and dear to my heart, Apple, with its iCloud-powered iTunes Match product offering. 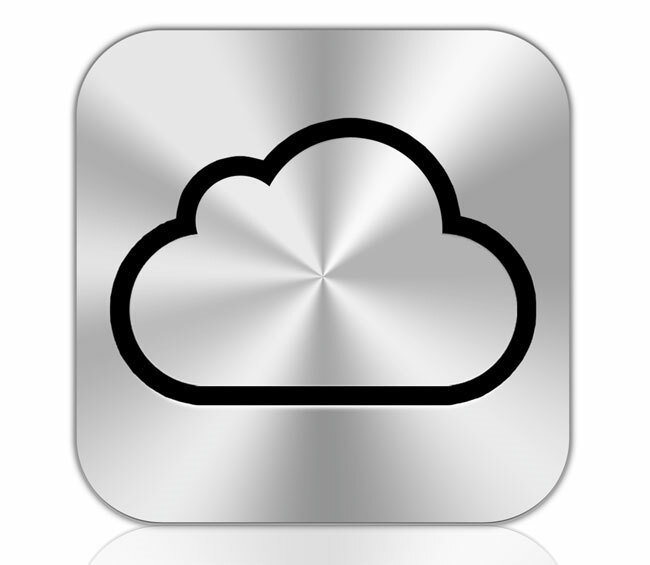 iTunes in the cloud allows you to put all your personal music into the cloud and have it all available on all your devices. It utilizes a very cool matching technology to avoid the time and expense of uploading any of your music that is already in the iTunes database. What’s fascinating about iTunes Match is not that it is cloud-based, but rather the extreme degree to which that cloud approach is changing Apple’s business model and product economics. In fact, it is changing the physical products themselves. 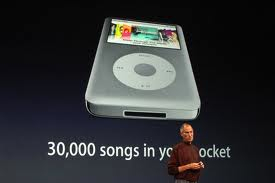 Prior to iTunes in the Cloud, all of Apple’s iPods, iPads and iPhones had to include lots of memory to hold everyone’s music and other content. Some will even recall the earliest days of the iPod where the focus of the advertising was all about storage: “1,000 Songs in Your Pocket.” The upgrade cycle was all about more storage each year. The pricing model has always been all about different price points for different amounts of storage. So what do these memory chips have to do with the cloud? Everything. With iCloud-powered iTunes, Apple has, in one stroke, reengineered their devices, their business model and their profit margins. With your music in the cloud, your device no longer needs all that physical memory to store it. Which means Apple will be able introduce and sell devices for a lot less money and reach a much bigger market. That would be a bold accomplishment on its own. But the device also works better because Apple handles the back-up, storage and synchronization. From Apple’s perspective, the cloud storage required is a tiny slice of an absolutely massive storage infrastructure they needed to build anyway. But best of all, they get to charge you $25 a year for the service. With that one stroke, they have turned an expensive, low margin product component (memory), into a high-margin, initial-purchase-price-reducing, recurring-fee-generating, cloud-based, smile-producing product feature. That’s one heck of a trick. Brought to you by the power of the cloud. Subscribe – To get an automatic feed of all future posts subscribe to the RSS feed here, or to receive them via email enter your address in the box in the upper right-hand corner of this page or go here and enter your email address in the box in the upper right. You can also follow me on Twitter @cmirabile and on Google+.